How do I see the wages of my employees planned this week. How can I manage a budget of hours. 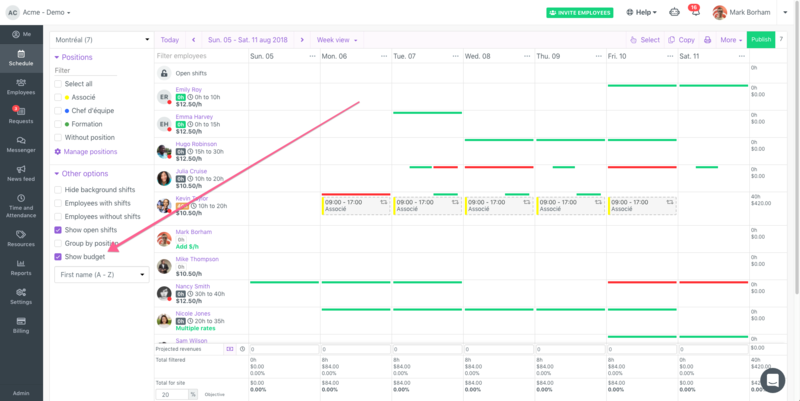 You can display hourly rates of your employee directly in the planner and immediately see the impact on your expected wages for any given week. 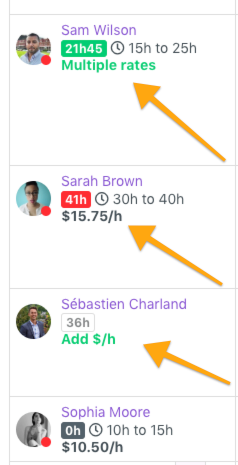 You can also manage your hours budget per week. Note that employees do not see the hourly rates of other employees. 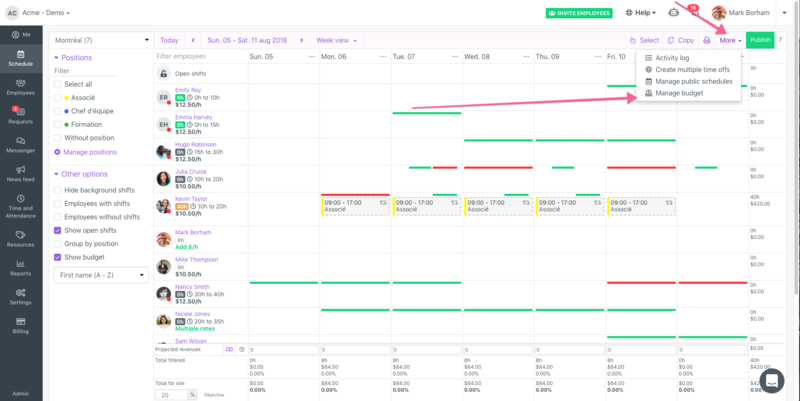 When projections are displayed, you can enter the hourly rates of your employees directly in the schedule. You can also set rates per positions (enabled in the employee profile). 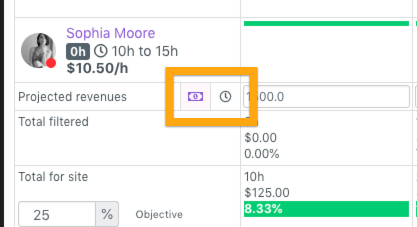 You can toggle the labor tool with the "Cash" (projected revenues) & "clock" (projected hours) icons at the bottom left. The week total both for hours and labor cost is shown at the far right of the week. It is also possible to bring up projections per positions. To do so you have to click on Manage budget under the "More" button.